What’s the story behind the Toronto florists on Av and Dav? 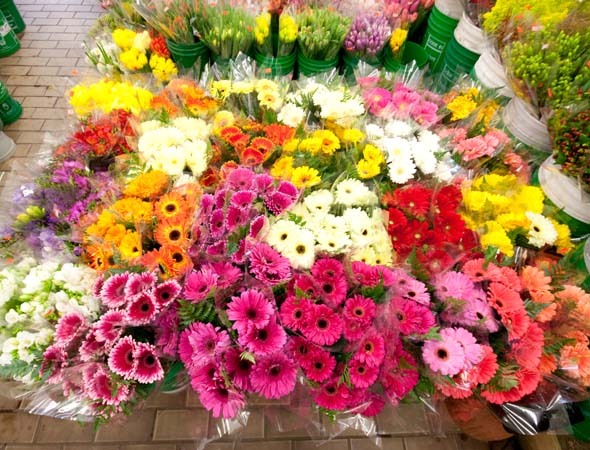 I have known about and purchased alot of flowers from The florists of Avenue and Davenport over the years, but I never knew much about them before this blogTO article by Robyn Urback came out. If you ever wondered about them, I recommend the article. And if you are looking for something nice to do this week (and you live in Toronto), why not treat yourself to a visit and a big bouquet. Afterwards you can cross the street and head over to the classic Avenue Road Diner for a bite, or wander further south and go to the Four Seasons for tea. Either way, you have seized the day in the best possible way. Gnooks is great! You type in three of your favorite authors and it suggests more. You must try it, you literary types, you. For me, I typed in WG Sebald, Graham Greene and AJP Taylor. It suggested more authors. It didn’t know Taylor, but of the ones it suggested, the ones I knew and liked were very accurate. And now I want to check out the authors I don’t know. Amazing. Given that it didn’t know Taylor, I think it may be limited to fiction authors. I’d be interested to know what anyone else’s results were. If you are someone who loves good food, consider going to Cape Breton this summer. Here’s why. in various locations in Cape Breton (including my home town of Glace Bay). Cape Breton is great to visit any summer, but if you love great food, this may be the extra reason to get you to book your trip today. In the meantime, follow the link above to see what I am talking about. From time to time I talk to people about trolls, and among other things, there is a frustration and desire to do something about righting the wrong caused by trolls. I know, partially from my own experience, that that is wrong and you must follow one of the main guidelines of social media: Don’t Feed the Trolls. An example of that can be seen here in this interview with this horrible woman known as Tamtampamela (Exclusive: The Japan Quake YouTube Troll Explains Herself – Technology – The Atlantic Wire). Reaction is exactly what she got. First off, it makes her sound like a bad person because she is a bad person. She would merely be an unknown loser if it wasn’t because she managed to get so many people riled up because they took her to be sincere but messed up. Instead, she’s a borderline sociopath. She has no guilt or remorse or doubt about any of the things she did. You could argue with her in her troll role and it would not have made a difference. Worse, you would have been just adding fuel to the troll’s bonfire. Best to let it go cold and let her and her kind be. I watched a couple of her videos part way, and the visceral reaction I had for the first one was rage. Then I skipped over to the second one and laughed and thought: troll. Sure enough, she was. And I stopped watching her and laughed her off. I do think she is a good vaccine for people who believe you can fight trolls and win. You can’t. Read about her and you should see why. And an fascinating study of Girl Talk too. What is Girl Talk? Well, it is the stage name of Gregg Michael Gillis, who is a master of the mashup. An d what I like about this site is you can follow along and see just how many sources he uses to make each track. It’s incredible for me. Mashing up Jimmy Smith, Cream and Notorious B.I.G. is just one of the eclectic mixes you’ll find here. I should highly add that alot of the lyrics are NSFW. Alot! I recommend earphones. Over at Open Culture they pulled this clip of Peter Falk from the film, Wings of Desire. What I like about this clip is how Peter Falk shows some of the joys of being alive. (The real life Falk apparently could draw as well). This is one cool site. On economics (no less). “The Other School of Economics” is a (counter)-reference to the ‘Chicago School of Economics’. Reclaiming the agenda back, and creating a hub to articulate and shape some new ideas.